India called off a meeting between the foreign ministers of the two countries last month, citing the brutal killings of three policemen in Jammu and Kashmir. ISLAMABAD: The cancellation of the Indo-Pak foreign ministers' meeting in New York by India on "flimsy pretexts" was "disappointing", Pakistan said Thursday, asserting that it wants peaceful and good-neighbourly relations with New Delhi on the basis of sovereign equality, mutual respect and mutual benefit. India called off a meeting between the foreign ministers of the two countries last month, citing the brutal killings of three policemen in Jammu and Kashmir and Islamabad releasing postage stamps "glorifying" Kashmiri militant Burhan Wani. "We cannot force any country to negotiate...India first agreed and in less than 24 hours, withdrew its agreement," Foreign Office spokesman Muhammad Faisal told reporters here during the weekly media briefing. He said the only way forward is through dialogue, which should be uninterrupted and uniterruptible. The "cancellation of the meeting of the Foreign Ministers of India and Pakistan, which was to be held on the sidelines of UN General Assembly in New York last month, by India on flimsy pretexts, was disappointing." 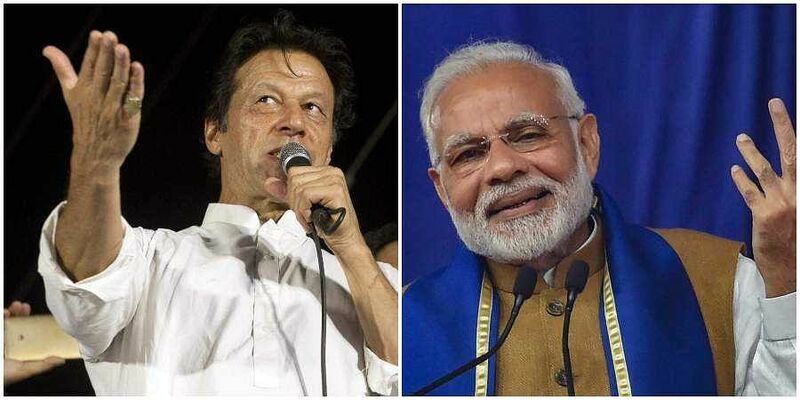 The ties between the two sides had strained after the terror attacks by Pakistan-based groups in 2016 and India's surgical strikes inside Pakistan-occupied Kashmir. Faisal said that Pakistan has always desired peaceful and good-neighbourly relations with India, on the basis of sovereign equality, mutual respect and mutual benefit. "We have formally announced that we are ready for a dialogue with India to settle all our disputes, but as you know it takes two hands to clap," he said. "If India is not ready to come to the table, we do not have any other way forward to find a solution to our problems. It takes two to tango," he added. When asked about any secret meeting between the two ministers, the spokesperson expressed his ignorance, saying, "I do not know about any secret meeting." Responding to a question on the opening of the Kartarpur Corridor for Sikh pilgrims, Faisal said, "in the absence of any dialogue, nothing can move forward." Kartarpur is situated in Narowal district of Pakistan's Punjab province, close to Indo-Pak border. It was established by the first Sikh Guru in 1522. The first Gurdwara, Gurdwara Kartarpur Sahib, was built here, where Guru Nanak Dev is said to have died. Kartarpur Sahib in Pakistan is located across the river Ravi, about four kilometres from the Dera Baba Nanak shrine in Punjab's Gurdaspur district. Indian cricketer-turned-politician Navjot Singh Sidhu, who had attended Imran Khan's swearing in ceremony in Islamabad in August, has said that Pakistan Army Chief General Qamar Javed Bajwa hinted at opening of the route to Gurdwara Kartarpur Sahib on the occasion of the 550th birth anniversary of Guru Nanak Dev. The 550th birth anniversary of Guru Nanak Dev is being observed in November 2019. Noting that the Sikh International Organisation has written a letter to the Foreign Office regarding the opening of the Kartarpur crossing, Faisal said, "but as I said earlier, in the absence of any dialogue or negotiations, no matter can be resolved." He said Prime Minister Imran Khan had responded positively to a letter from his Indian counterpart. Faisal said Pakistan is ready to hold talks for resolving Kashmir, Sir Creek and Siachen issues. On SAARC conference, Faisal said all the member states, except India, are positive on the holding of SAARC Summit in Pakistan. SAARC Summits are usually held biennially, hosted by a member state in alphabetical order. The last SAARC Summit in 2014 was held in Kathmandu.